What an awesome end I had to last week. To find out why it was so awesome we have to head back to 5th June 2017. I was watching the keynote from the Apple World Wide Developers Conference (yes I’m that kind of a geek) when my phone started going mental with Twitter notifications. A quick look at why and I was in shock, I was an #SBS winner. This meant I was entitled to attend the 2018 SBS event with Theo Paphitis. For those who have never heard of it, SBS is Small Business Sunday. SBS was set up by former Dragon from Dragons Den, Theo Paphitis back in 2010. Theo invites small businesses to tweet him about their business between 5 pm & 7.30 pm on a Sunday evening. On the Monday after Theo picks his favourite few tweets and they become winners. On 4th June I tweeted Theo as I had done a few times before. At 8 pm on 5th June, I found out I was a winner when I received a congratulatory tweet. To say I was over the moon was an understatement. My winning tweet is below. Every year the SBS team hold a special winners event and the 2018 event was in Birmingham on Friday 23rd February. The event started with a general open networking opportunity as people arrived. This was a great chance to meet up with a few people that I’ve spoken to online since my win but had never met in person. It was great to be able to put faces to names. Around mid-morning, the event was officially opened by Kypros Kyprianou, CEO of the Theo Paphitis retail group. Kypros gave us a few figures on the current standing of the SBS family. 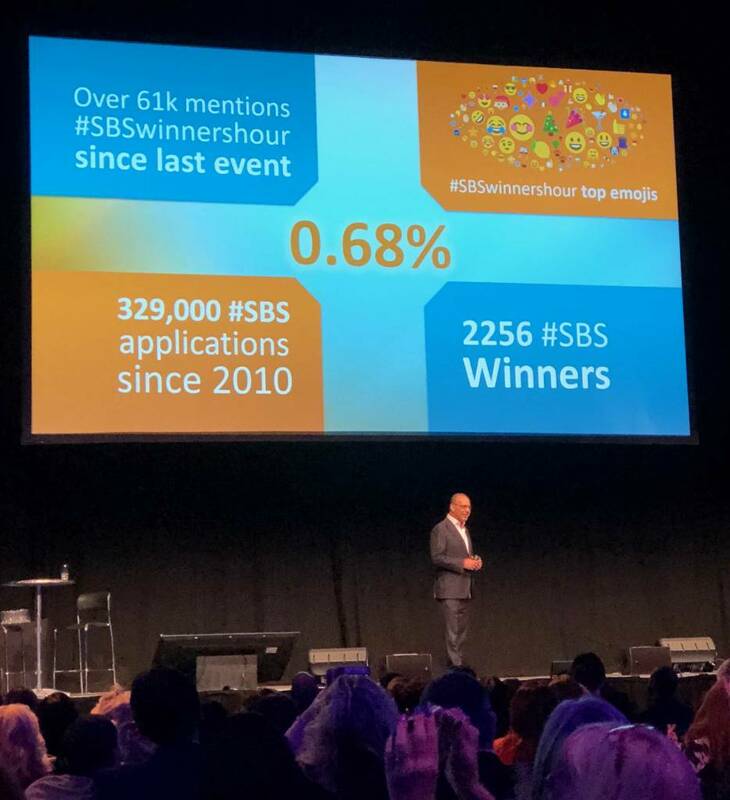 The most impressive figure for me was that since it’s inception in 2010, there have been 329,000 entries into SBS and only 0.68% of those entries have been successful. Seeing that figure and how few get chosen, I feel incredibly honoured to have been chosen by Theo for this award. Then it was time for Theo himself to be introduced. Theo gave us a few details about upcoming changes to SBS and how he planned to take things forward for 2018. Theo said he originally started SBS because he recognised that a Sunday evening is typically the time when a small business makes plans for the week ahead, certainly it was when he was the owner of a small business and he wanted to give back to the small business world. With that SBS was born. Theo and John spoke about the current business world and John’s story of how a £1 bet changed the world of white goods as we know it. John and Theo then hosted a question and answer session. After the fireside chat was over, it was time for anyone whose first event it was to meet Theo, collect their certificate and pose for photos. As I only won in June, this included me. With around 300 people to meet and be photographed with, time with Theo was understandably brief. Although in the short time I was stood with Theo I found him to be a pleasant person who was genuinely interested in my business. 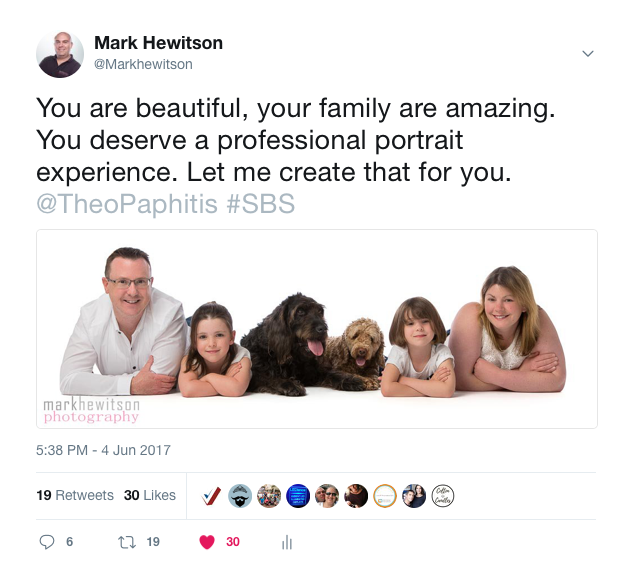 It really is an honour to have been recognised by a businessman as well respected as Theo Paphitis and it has made me incredibly proud of Mark Hewitson Photography. I would like to express my huge thanks to everyone who was involved in putting on the SBS event with Theo Paphitis. 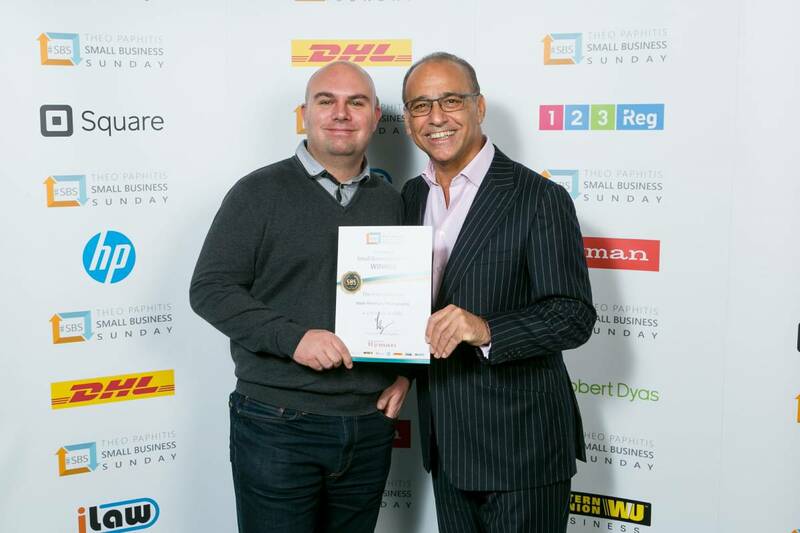 You can find out more about Theo Paphitis and SBS here.